A professional provider of systematic closure packaging solutiongs. Hicap provides high technological and innovation content pilfer proof closure by mass production. 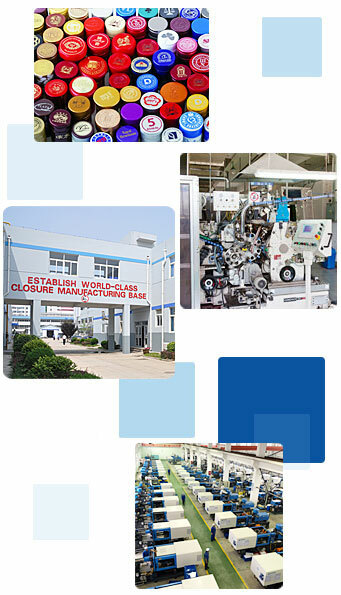 Main products include aluminum ROPP cap, aluminum screw cap, simple structure plastic cap, plastic cap and non-refillable cap and other kinds caps. Hicap provides high quality pilfer proof caps for famous brands including liquor, beverage, oil and condiment home and abroad. Good customers refer to not only the famous enterprises home and abroad but those with large sales volume and high requests for products supply capacity. Leading technology supports differential competitive strategy. Technological innovation brings products innovation to create more values for customers and more profit for Hicap. With improvement of decoration and anti-fake function of caps, Hicap absorbs international advanced closure design and manufacture technology, and improves automation and productivity of equipment to realize technical superiority in closure industry.